Round nose or domed ammo is often used for hunting but is also a favorite for plinking. 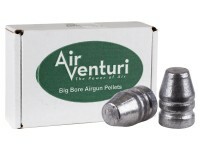 Air Venturi big bore bullets are made in America and are consistent quality and have uniform size. Things I liked: Nice ! These things really shoot nice out of my 357 Recluse! 60 yds shooting same hole !!! What others should know: Love it ! I hope Pa. legalize them soon ! Be new way to hunt !! 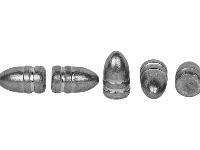 Things I liked: bought these for my Evanix rexP pistol .357 I am quite impressed with how they work. great energy and penetration. Are these pellets sized and lubed? Best to take a Grain Scale and Match The Pellets Yourself. Clean with Soap and Water, Dry and Use The Lube of your choice. This Way You Know That Its been done correctly. I use Silicon and Pelgun Oil Mixed..
Will these work with the Benjamin bulldog?